We provide a complete solution that is perfect for educational and training materials. Versatile! That’s the best way to describe our finishing department. 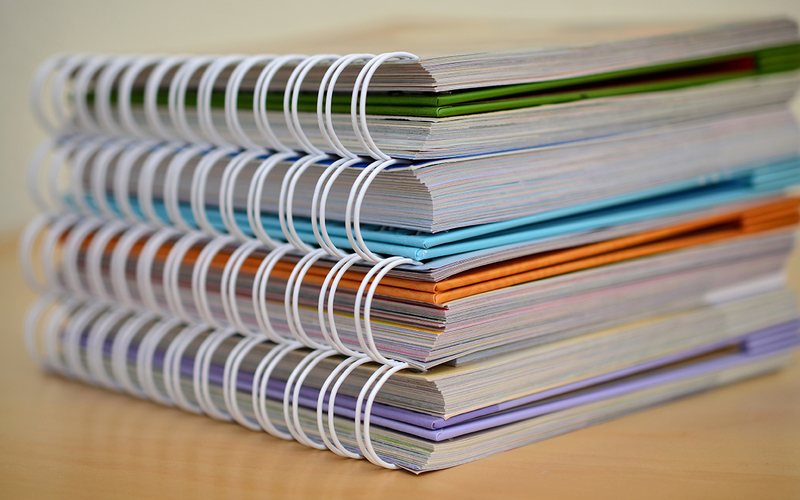 AMA Nystrom offers a wide variety of binding styles to fit any need including Wire-O binding, plastic coil binding, saddle stitching, and perfect binding. Loose leaf items and die-cut tab dividers are economical with our automatic punching, collating and tab-cutting machines. Combined with our custom vinyl ring binder product, we provide a complete solution that is perfect for educational and training materials or any customized binder project.